Narrative Medicine Essays – What's for dinner, Doc? A place to put pen to paper in an attempt to understand the culture of medicine and to document the stories that have been entrusted to me as a healer. I learned to be self sufficient in rural Nevada, much like the miner’s and rancher’s wives whom I served. I learned early on that I could never expect a back up obstetrician, even in an emergency. I never had a physician to assist in a complicated cesarean, rarely had a pediatrician residing in town to call upon for a distressed neonate and never had in house anesthesia. I had nightmares in the beginning that I would have to administer the anesthesia, do the cesarean and resuscitate the baby all by myself. A variation of those early nightmares became a reality midway through my first year. I was blind-sided by a distressed neonate with Apgars of 2 and 4. I left the new mother on the delivery table while I intubated her newborn, waiting for a nurse anesthetist to come from home. All the time feeling completely overwhelmed and incompetent when the oxygen saturations would not budge. Feeling anger that there was no pediatrician or physician anesthesiologist in town to help me. Feeling relief when the university transport team flew 300 miles to my rescue. I had been on the receiving team of rural transports many times in training but I had never been on the sending team so during my residency I could not have known the relief the transporting doctors felt every time they turned a complicated case over to me. Regrettably, I do remember the smug satisfaction I felt after saving the patients from their rural doctors. I was on the receiving end of that smugness the next morning when the junior neonatal resident called me from the university hospital to give me an update on the transported neonate. He expressed genuine surprise that we were able to stabilize and transfer this neonate suffering from Tetrology of Fallot, a rare life threatening heart defect. Despite the compliment he made sure I understood the error of my ways by saying, “this should have been picked up before delivery and in the future could we transfer the seriously ill babies in utero next time?” He asked if I would give an update to the pediatrician and anesthesiologist who made the save. Uh, that would be me and me again. I was too tired to point out to this punk that in rural Nevada I had no pediatrician or anesthesiologist much less a perinatologist for specialized prenatal diagnosis. Nights like these make every rural physician question their sanity and their choice to serve in rural communities. They often work with half the resources of urban hospitals and fight an uphill battle trying to explain to their colleagues how difficult their jobs are made by not having the resources that the urban and university physicians take for granted. 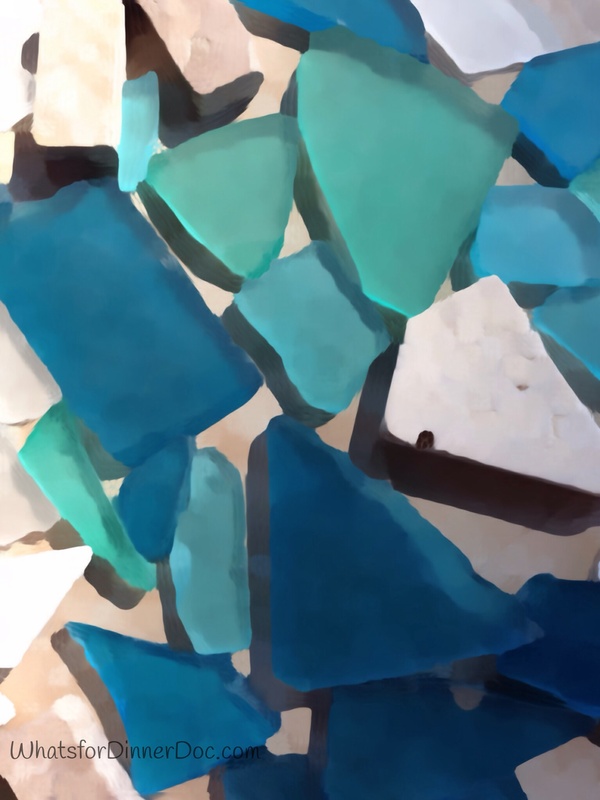 The torrent of medical education, sea glass or sand? Before you started your first year I cautioned you that “medical school will change you so you must guard the ideals you hold sacred”. I have watched you change in your first two years much like a piece of new glass thrown into the ocean being tumbled and polished by the torrent of medical academia. All first year students start out as a shiny piece of new glass, none of us knowing what will be left of us at the end of our training. I wonder if you will become a weathered, beautiful piece of sea glass or will nothing but sand remain of the original glass that is you. You study, you rant, and you test yourself against and with the currents. Sometimes you excel, sometimes you just endure. Sometimes the glass just drifts with the tide, sometimes it tumbles against the rocks. It’s surprising to me that you don’t always fight the current. You’ve learned a little bit about flowing with the tide yet I admire your conviction to stand firm against a prevailing current when you know you are right. The luster of you, the idealistic first year student has become duller but the promise of the finished sea glass washed up ashore at hooding is evident every time I see you with a patient. I see glimpses of who you are becoming and it looks very much like a physician. Not finished but exquisitely different, rough edged glass with a frosted patina starting to form. The deepest chips around your edges have come not from the sleepless study nights or the pressure of your first boards but from the reality that everyone in medicine is not benevolent. I advised you two years ago, to “choose mentors who express the compassion and empathy that you feel now, the summer before medical school”. Many of your faculty have forgotten that teaching and healing are an honor and a privilege. I know this realization scrapes you but it shouldn’t touch your center. You will always be buffeted by physicians and fellow students whom you don’t respect or understand. It's even possible that you will become one of those physicians whom you see imperfections in now. Wisdom often shows us that not all differences are flaws. I am confident however that the empathy and compassion that is you will be protected at your core, while the surface will be battered and inevitably polished. Physicians need to be receptive to change because many forces, like the tides, are out of our control. You will be transformed a little bit by each patient encounter. In my life these changes have been the best. Patients teach me every day and I never know whether an encounter will polish or chip me. Yet in some moments, we just need to drift untouched. You will learn how to drift in your third and fourth years. We drift when we are tired, frustrated or overwhelmed. Sometimes doing nothing is the right answer. Sometimes the glass just bounces along the bottom unscathed. The art of medicine at its best is controlled chaos so you will spend most of your life being weathered by the currents. 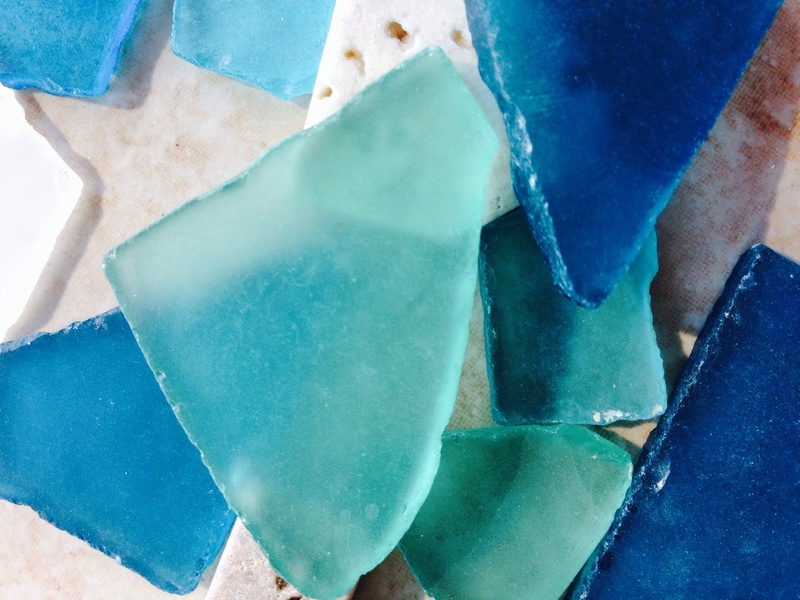 The sea glass is transformed by the tumult, to become a unique weathered piece of art. You must change to become a physician. The physician like the glass is always a work in progress. Always a student, always a teacher, always anticipating some turbulence. We hope for more polish than chips in our profession, so there is something of our core and not just sand left in the end. Learn to find balance between the tumult and the drift. Protect your clear center. Forgive the chips and flaws in your colleagues and yourself. Our profession is complex and wonderful. Physicians are just people with unique strengths and weaknesses. Remember that the most beautiful mosaics are formed from the oddest shapes and most diverse textures. Put your signature on the art of medicine but surround yourself with more sea glass than sand, more character than flaws. Previously published in Blood and Thunder at The University of Oklahoma School of Medicine 2012 Edition. This is the third in the series of letters to my son the medical student who grew into a surgeon. The letters have helped me renew my commitment to compassionate healthcare and medical education. It is too easy to lose your way as a physician when faced with the daily stress of real medicine. Spending time with the next generation of physicians gives me faith that we will always have a few doctors who stand out as not just competent, but caring healers. I am proud of you. I suspect that I’m not alone in my mixed feelings of pride and jealousy. Every leader whether a monarch, an Olympic champion, the chairmen of the board, or a surgeon must without a doubt pass their power and burdens onto the next in line; the heir apparent, the younger athlete, the junior executive, the newly hooded surgeon. 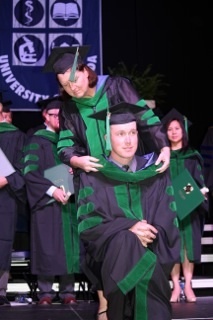 You bent a knee to accept the academic hood from me at graduation. I was overwhelmed with genuine pride, not just unconditional maternal love, but the deeply respectful pride of a mentor. Take my scalpel. You’ve earned it but you have much to learn, my first born child. You have been given the chance to cut so make every cut a chance to cure. I will expect nothing short of excellence in the operating room from you but the time spent in the operating theatre is only a fraction of the time that you will give to your patients. The best surgeons know when not to operate. Be exceptional out of the operating room. Draw strength and knowledge from your life’s lessons outside of the OR. I am a surgeon and your father is an exceptional helmsman. You are both. By his example, your father taught you how to be a great captain. You learned to set the course and inform your crew of the plan before you set sail, much as you will do during your pre-surgery time outs. He has shown you that every one on his boat is important and he always gives clear instructions when he needs their assistance. As the captain you learned to acknowledge all safety concerns expressed by your crew with a thank you, even if you had already seen the potential collision and adjusted your sails well in advance. The surgeon like the helmsman can’t see around every corner and has to rely on his crew to be alert and secure in the knowledge that they can voice their concerns to him at all times. The culture of medicine is changing but you will find surgeons who still believe that they don’t need to listen to their crew. I hope you teach those around you the importance of team work and courtesy on a safe journey. The surgeon takes the ultimate responsibility for the safety of his crew and the human vessel entrusted to his hands. 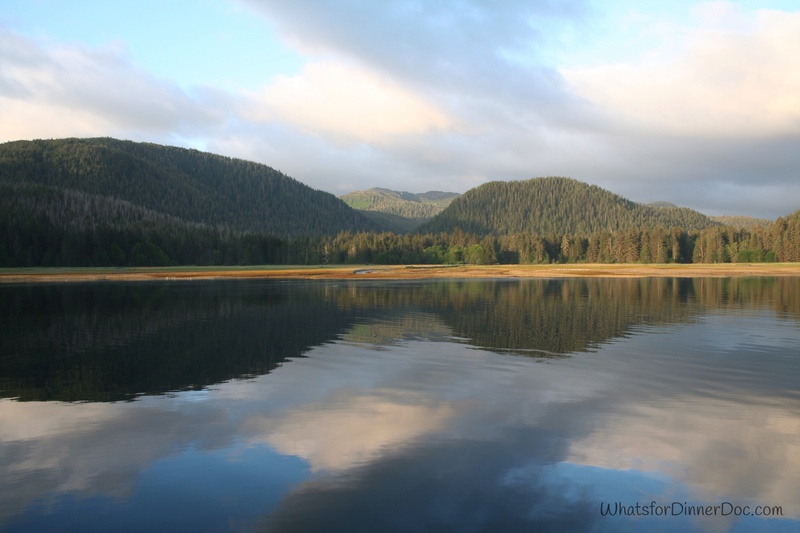 The helmsman can not control the wind or the tides but he can adjust his course. You, the surgeon, can’t change the circumstances that bring a patient to you. Your choice to serve or to set sail will have been made long before the crisis. When a patient enters the trauma bay or your office there’s no reason to spend any energy wishing it wasn’t so. What good ever came from shouting at the rain? You will curse more than once when your trauma pager goes off for the twentieth time in as many hours. You will feel real anger when your patient is drunk, high, foul mouthed, careless or ungrateful. You will wish that the patient had made better decisions, hadn’t waited so long to seek care or better yet that another surgeon was on call instead of you. Regardless of your feelings in the moment, take a deep breath and do your job. When you are truly in the moment you will find exactly what you need to carry on and all of the should haves and could haves will no longer matter. You can reef your mainsail or heave to and slow the forward progression of your vessel, but you can’t get off the boat in a storm. I hope you find the gift and perhaps the quiet divine guidance that allows you to realize that in the moment, you are the only one who can help that patient. At the darkest moments, adjust your course and engage the patient by saying, “I’m here to help.” There is no judgment in, “I will help you.” It will bring you and the patient into the moment where you can work together. Listen to the patient. What do they fear? What do they expect after surgery? Can you take the yoke from them and carry their fear for them? Can you align their expectations with the reality? Even an unconscious trauma patient needs to hear that you care and that you are there for them. Believe me; you will forget the surgery and eventually the patient too. The patient will never forget you or their surgery. Allow yourself to feel uncertain. You will never know everything. You will feel less certain and occasionally fearful in uncharted waters. Is the injury beyond repair, will the bleeding never stop, will the Mets win again? Learn to say, “I’m sorry. I’m sorry you are in pain. I’m sorry you are dying. I’m sorry I couldn’t do more.” Forgive yourself for being imperfect because you will make many mistakes. It is arrogant to believe that you can save every patient so learn to say goodbye and when appropriate just get out of the way. It helps me to believe that there is a higher power to assist every patient at the end of their journey. This is a moving and compelling story of your experiences, hardships, accomplishments and perspective of rural physicians. I enjoyed reading every word and would be so lucky to find myself on the receiving end of your physician care should I find myself in your “urban” facility. Luckier still to have been in your care if I fell sick and was a member of your Nevada community. Thank you Stacey. I’m a little choked up. It has been my privilege to provide healthcare to woman but I graciously accept your compliment. I have been so lucky to have been in healthcare – it has been my life – an astonishing window through which to have looked, an unparalled door to through which to have walked, a privileged exposure to humankind with all its trials, strivings and injustices….Thank you for documenting some of that so skillfully. Thank you for reading and commenting. I am grateful for the opportunities that medicine has afforded me. As a family physician, I appreciate your insight into caring for people and being there for them in so many ways. I, too, have truly felt that it is an honor and a privilege to have the opportunity to affect my patients’ lives in such a powerful way. I have continued to learn from my patients with every encounter. And now as a public health official, I am grateful to help ensure the public health and safety of my entire community as I consider each constituent my own patient. We are fortunate to have the training and mindset to do so. From reading your narratives, it appears that you wouldn’t trade your experiences for any others. I certainly would not, either. Thank you Patti. It’s nice to hear your positive comments.